Bright White Clearcoat 2011 Jeep Patriot Latitude X 4WD 5-Speed 2.4L I4 DOHC 16V Dual VVT ABS brakes, Compass, DVD-Audio, Electronic Stability Control, Heated door mirrors, Heated front seats, Illuminated entry, Low tire pressure warning, Radio: Media Center 230 6CD/DVD/MP3, Remote keyless entry, Traction control. Recent Arrival! Come in and find out why we are the largest Chevrolet dealer in Peoria and the #1 Chevrolet dealer in Central Illinois!! Your Family owned local Chevy store for over 40 Years! Graystone Metallic 2008 Chevrolet Silverado 1500 LT 4WD 4-Speed Automatic with Overdrive Vortec 4.8L V8 SFI Clean Autocheck, Silverado 1500 LT, 6 Speaker Audio System Feature, ABS brakes, AM/FM Stereo w/MP3 CD Player/XM Satellite, Auto-Dimming Inside Rear-View Mirror, Body-Colored Bodyside Moldings, Chrome Grille Surround, Color-Keyed Carpeting w/Rubberized Vinyl Floormats, Compass, Driver & Front Passenger Illuminated Visor Mirrors, Driver-Side Manual Lumbar Control Seat Adjuster, Electric Rear-Window Defogger, Electronic Cruise Control w/Set & Resume Speed, Electronic Stability Control, Front Frame-Mounted Recovery Hooks, Heated door mirrors, Heated Power-Adjustable Black Outside Mirrors, Illuminated entry, Leather-Wrapped Steering Wheel, Low tire pressure warning, LT1 Equipment Group, Power Door Locks, Power Windows w/Driver Express-Down, Remote keyless entry, Solar-Ray Deep-Tinted Glass, Spare Tire Lock, Traction control, XM Satellite Radio. Awards: * 2008 KBB.com Brand Image Awards Come in and find out why we are the largest Chevrolet dealer in Peoria and the #1 Chevrolet dealer in Central Illinois!! Your Family owned local Chevy store for over 40 Years! This is a Mechanics Special. This vehicle was traded in and has not gone through our service shop. In order to keep cost as low as possible. 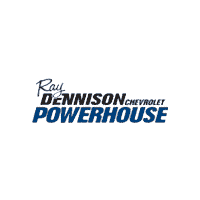 Any problems that the vehicle may or may not have, has not been diagnosed as it has NOT been thoroughly inspected by Ray Dennison Chevrolet. Please bring a 3rd party mechanic or someone mechanically inclined for your own inspection and peace of mind. Graystone Metallic 2008 Chevrolet Silverado 1500 LT 4WD 4-Speed Automatic with Overdrive Vortec 5.3L V8 SFI Active Fuel Management 1LT Convenience Package, 6 Speaker Audio System Feature, ABS brakes, AM/FM Stereo w/MP3 CD Player/XM Satellite, Auto-Dimming Inside Rear-View Mirror, Body-Colored Bodyside Moldings, Chrome Grille Surround, Color-Keyed Carpeting w/Rubberized Vinyl Floormats, Compass, Driver & Front Passenger Illuminated Visor Mirrors, Driver-Side Manual Lumbar Control Seat Adjuster, Dual Zone Automatic Climate Control, Electric Rear-Window Defogger, Electronic AutoTrac Transfer Case, Electronic Cruise Control w/Set & Resume Speed, Electronic Stability Control, Front Frame-Mounted Recovery Hooks, Front Halogen Fog Lamps, Heated door mirrors, Heated Power-Adjustable Black Outside Mirrors, Heavy-Duty Auxiliary External Transmission Oil Cooler, Heavy-Duty Trailering Equipment, Illuminated entry, Leather-Wrapped Steering Wheel, Low tire pressure warning, LT1 Equipment Group, Off-Road Suspension Package, Power Door Locks, Power Windows w/Driver Express-Down, Remote keyless entry, Remote Vehicle Starter System, Skid Plate Package, Solar-Ray Deep-Tinted Glass, Spare Tire Lock, Steering Wheel Mounted Audio Controls, Traction control, XM Satellite Radio. Recent Arrival! Awards: * 2008 KBB.com Brand Image Awards Come in and find out why we are the largest Chevrolet dealer in Peoria and the #1 Chevrolet dealer in Central Illinois!! Your Family owned local Chevy store for over 40 Years! New Price! Deep Ruby Metallic 2008 Chevrolet Silverado 1500 LT RWD 4-Speed Automatic with Overdrive Vortec 5.3L V8 SFI Flex Fuel Clean Autocheck - 1 Owner, 1LT Convenience Package, 6 Speaker Audio System Feature, ABS brakes, AM/FM Stereo w/MP3 CD Player/XM Satellite, Auto-Dimming Inside Rear-View Mirror, Body-Colored Bodyside Moldings, Chrome Grille Surround, Color-Keyed Carpeting w/Rubberized Vinyl Floormats, Compass, Driver & Front Passenger Illuminated Visor Mirrors, Driver-Side Manual Lumbar Control Seat Adjuster, Dual Zone Automatic Climate Control, Electric Rear-Window Defogger, Electronic Cruise Control w/Set & Resume Speed, Emergency communication system, Front Frame-Mounted Recovery Hooks, Front Halogen Fog Lamps, Heated door mirrors, Heated Power-Adjustable Black Outside Mirrors, Heavy-Duty Auxiliary External Transmission Oil Cooler, Heavy-Duty Handling/Trailering Suspension Package, Heavy-Duty Trailering Equipment, Illuminated entry, Leather-Wrapped Steering Wheel, Low tire pressure warning, LT1 Equipment Group, Power Door Locks, Power Windows w/Driver Express-Down, Rear Access Door Power Windows, Remote keyless entry, Remote Vehicle Starter System, Solar-Ray Deep-Tinted Glass, Spare Tire Lock, Steering Wheel Mounted Audio Controls, XM Satellite Radio. Awards: * 2008 KBB.com Brand Image Awards Come in and find out why we are the largest Chevrolet dealer in Peoria and the #1 Chevrolet dealer in Central Illinois!! Your Family owned local Chevy store for over 40 Years! Silver Birch Metallic 2007 Chevrolet Silverado 1500 Classic LT 4WD 4-Speed Automatic with Overdrive Vortec 5.3L V8 SFI Flex Fuel ** ACCIDENT FREE AUTOCHECK**, 17" x 7.5" 6-Lug Polished Cast Aluminum Wheels, 6 Speaker Audio System Feature, Auto-Dimming Inside Rear-View Mirror, Black Leather-Wrapped Steering Wheel, Body-Colored Bodyside Moldings w/Chrome Insert, Brushed Aluminum Pickup Bed Extender, Chrome Surround Grille w/Black Insert, Color-Keyed Carpeted Floor Covering, Crew Cab Value Package, Electric Rear-Window Defogger, Electronic Cruise Control w/Set & Resume Speed, Heated Power-Adjustable Black Outside Mirrors, Heavy-Duty Auxiliary External Transmission Oil Cooler, Heavy-Duty Rear Automatic Locking Differential, Heavy-Duty Trailering Equipment, Mini Overhead Console w/Map Lights, Power Door Locks, Power Windows w/Driver & Front Passenger Express-Down, Preferred Equipment Group 1LT, Rear Chrome Step-Style Bumper w/Pad, Remote Keyless Entry, Solar-Ray Deep-Tinted Glass. Awards: * NACTOY 2007 North American Truck of the Year Come in and find out why we are the largest Chevrolet dealer in Peoria and the #1 Chevrolet dealer in Central Illinois!! Your Family owned local Chevy store for over 40 Years! Silverstone Metallic 2007 Chevrolet Malibu LT 2LT FWD 4-Speed Automatic with Overdrive 3.5L V6 SFI 2007 Chevrolet Malibu LT in Silverstone Metallic, Malibu LT 2LT, 4-Wheel Antilock Disc Brakes, 6-Way Power Driver Seat Adjuster, All-Speed Traction Control, Front Seating Package, Heated Driver & Front Passenger Seats, Preferred Equipment Group 2LT. Recent Arrival! 22/32 City/Highway MPG Come in and find out why we are the largest Chevrolet dealer in Peoria and the #1 Chevrolet dealer in Central Illinois!! Your Family owned local Chevy store for over 40 Years! Daytona Blue Metallic 2006 Chevrolet HHR LT FWD 4-Speed Automatic ECOTEC 2.2L I4 SFI DOHC 16V Clean Autocheck, LT Package. Recent Arrival! 23/30 City/Highway MPG Come in and find out why we are the largest Chevrolet dealer in Peoria and the #1 Chevrolet dealer in Central Illinois!! Your Family owned local Chevy store for over 40 Years!